Sherry Tseng Hill holds a Bachelor of Arts in Architecture and Art History, and a Bachelor of Architecture from Rice University. Except for a one year preceptorship with I. M. Pei & Associates in New York City, she has practiced architecture in Houston. She is a registered architect in Texas and holds a certificate in Leadership in Energy and Environmental Design from the US Green Building Council. Her background includes a wide range of project types and sizes. From small residential renovations to large new multi-million dollar schools, her experience with different programmatic requirements and construction methods is an invaluable asset to any project. Howard Hill holds a Bachelor of Arts in Architecture and a Bachelor of Architecture from Rice University. 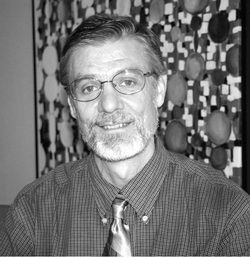 He is a registered architect in Texas and has practiced in Houston for 30+ years. Howard's background is widely varied with extensive work in both public and private sectors. Projects have ranged from creating high-end retail environments across the United States and internationally to institutional projects for school districts, cities, parks departments and other governmental agencies, to commercial projects of all sizes, and smaller scale residential projects. Sherry Tseng Hill, Architects is a full service architectural firm. From the beginning of every project we spend time getting to know our clients and their unique set of distinctive site, programming and budget needs. We work collaboratively with not only the clients, but the consultants and the contractors and believe that clear and open communication leads to successful projects. We believe that each design must satisfy its intended use, must be technically sound, and must convey aesthetic delight to its end users.